Sunday, October 15, 2017, 9:47 p.m. – The Lord Jesus put in mind the song “Why So Downcast?” Speak, Lord, your words to my heart. 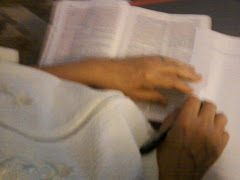 I read Psalm 46 (Select vv. ESV). Life on this earth has its ups and downs. Sometimes we experience relative peace and safety, and we are not seriously challenged with much in the way of adversity, trouble, or hardships. At other times, life’s circumstances hit us hard with difficulties, persecutions, heartache, pain and much sorrow. While some people seem to encounter more troubles than others, certain people appear to have life pretty easy, although appearances can be deceiving. Yet we can be encouraged, for God Almighty – Father, Son and Holy Spirit, creator of the universe and all living things – is the refuge and strength of his people, i.e. of those of us who have put our faith and trust in Jesus Christ, the Son of God. He is our present (abiding) help in trouble. Although he does not necessarily remove us from our sufferings, though he may, and he sometimes does, he will carry us through them. For, he will give us all the wisdom, counsel, guidance, strength and endurance we need to endure, and he will also teach us what he wants us to learn through our troubles. Not many of us like to be in pain, though, and so the tendency of many of us may be to immediately want to escape the suffering, yet we are called to suffer for the sake of Christ and his gospel, and we are destined to go through many trials and tribulations, because these are for our good. For, through our difficulties and troubles we learn perseverance, patience, and godliness; our faith is tested to see if it proves genuine; we mature in our walks of faith; and we learn to rely on God and not on ourselves. As well, we learn humility, compassion, obedience and love; we share in God’s holiness; and for those of us who have been trained by God’s divine discipline, it produces in us a harvest of his righteousness. So, we should never fear, for God is doing good in us and through us for his glory. When troubles come our way, which they most certainly will, how do we respond to them? With fear or with faith? With travail or with trust? With rancor or with rest? And, when we are facing such difficulties, to what or to whom do we turn first? To our own resources, to other people, or to God? As well, do we believe that God is absolutely sovereign over our lives, or do we rather see God as impotent, rather than as omnipotent? And, do we see Satan as more powerful and God as not able to do anything to help us? I believe that many Christians respond to their troubles as though they believe that God can do nothing to help them, or as though he is not completely sovereign over their lives, and as though Satan still has power over them. And, that is why they are afraid, and it is also why many of them feel as though they have to resolve their own problems. It is because they don’t see that God is in their midst, that he is their fortress (strength), and that he will give them all the help they need to make it through whatever it is they are going through presently. Some people find comfort in believing that God is impotent to do anything about their circumstances, because then they don’t have to deal with the knowledge that God could have rescued them, but he didn’t. They, too, don’t want to believe that a loving God would allow them to suffer in such a way, or even that it is his will that we should go through trials and tribulations. But, I find that belief to be unbiblical and disconcerting, because that says that I am on my own, that Satan has full power over me, and that my God, who is supposed to be my strength and help, is absolutely powerless against Satan’s schemes. Therefore, it is like going into a battle without my armor. Where I find peace is in knowing that my God is absolutely in control over all that he has made, and that nothing can touch me but what God allows it (or causes it), and that he does so for his purposes, which God will work for my ultimate good and for the good of others. I find peace, too, in knowing that whatever he takes me through, he will give me everything I need to make it through, and he will never abandon me. So, even though I may face much opposition, trouble or heartache, I can stand strong in my faith, for my God is with me, and he is my strength and purpose, so I will not be moved. God/Jesus is often saying to us, “Don’t be afraid,” “Trust Me,” and “Be Still.” And, he can say that because he is in control over all that he has made, he has us in his hands, he is carrying us on his shoulders, and he is holding our hands, and he will see us through everything we are going through. Even though Satan is throwing his darts at us, and humans are mistreating us, and the opposition is fierce, at times, we can be at peace in the midst of the storm. We can rest in our Lord and in his sovereignty and in his grace, believing that good will come from it all. Although things may look pretty bad at times, and it doesn’t seem right now that God is being exalted among the nations, but rather evil often seems to triumph over good, one day every knee will bow before God, and every tongue will confess that Jesus Christ is Lord, to the glory of God the Father (Phil. 2:10-11). God will triumph! And, Satan is already defeated, for Jesus conquered him via his death and resurrection, and his doom is sure. Satan can only still exist and be allowed to do the evil he does because God has allowed it to happen, and for his purposes, but one day that will all end, and we will be taken to be with our Lord. Every tear will be wiped from our eyes, and we will no longer be in pain or suffer or be sad, and in that we can rejoice! And why so disturbed now within me? For I will praise His name. Storms and tempests sweeping o’er me. Still I’ll praise His name. By day the Lord sends forth His love. In the night His song is with me. I pray to the God of my life. Foes attack me; Satan sneering. Still I’ll praise my God. Put your hope in Him. My soul thirsts for God who’s living. I pour out my soul to my God. I’ll still praise His name. Shout with joy to Him.